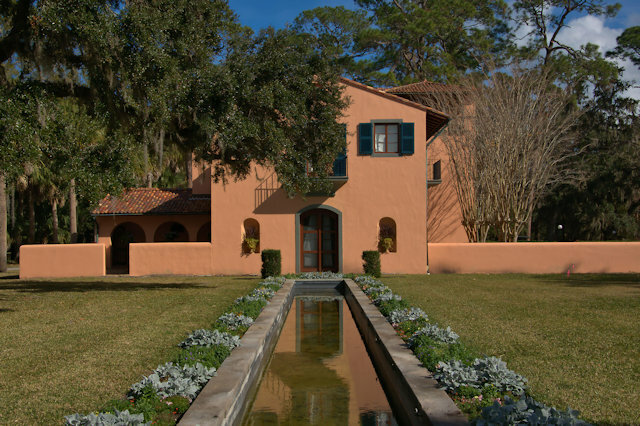 Though Edwin and Sarah Gould essentially severed their ties to Jekyll after the death of their oldest son, Frank Miller Gould had fond memories of past winters spent on the island and commissioned architect Mogens Tvede to construct this cottage, among the last built during the club era. He named it for his daughter Marianne. 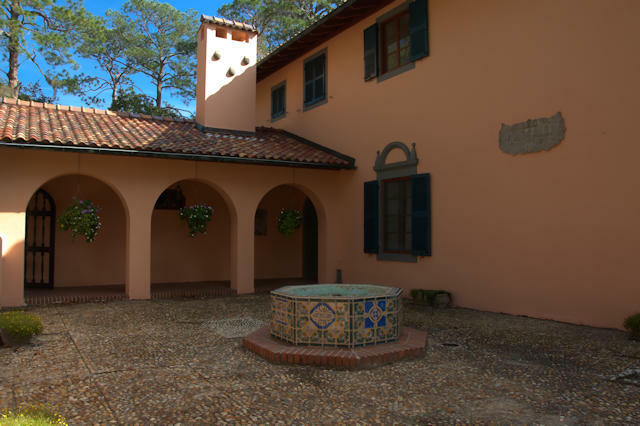 Villa Marianna was one of the first large-scale renovations in Jekyll Island’s National Historic Landmark district and once housed the offices of the Jekyll Island Authority. 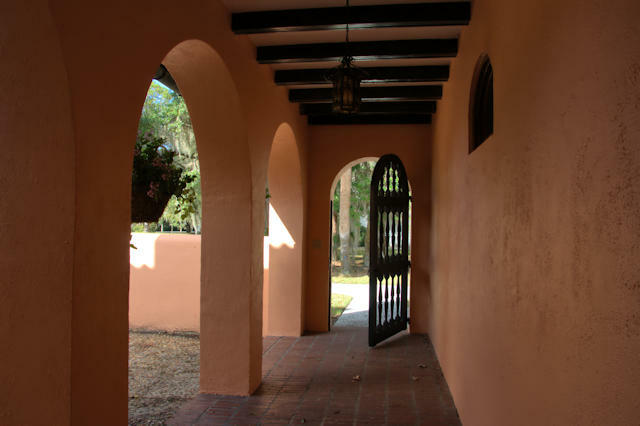 The courtyard at Villa Marianna is its most inviting feature and is a great spot for quiet reflection. 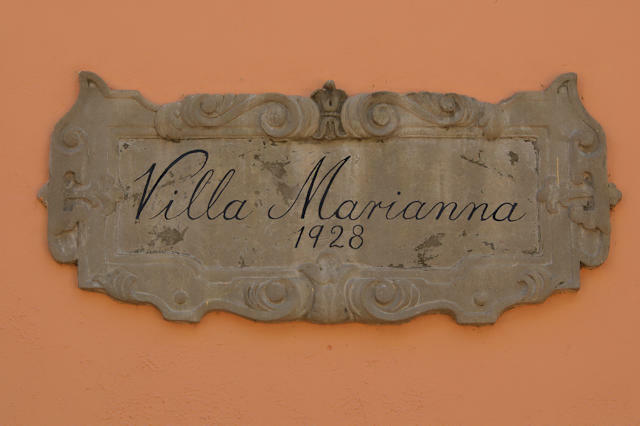 As the nameplate suggests, the house was completed in 1928, though the official marker outside the house dates it to 1929. Gould didn’t move in until 1929, but according to The Jekyll Island Club:Southern Haven for America’s Millionaires (William Barton McCash & June Hall McCash, Athens, UGA Press, 1989), the standard reference on the Jekyll Island Club, the home was “essentially complete” by October 1928. Though Edwin and Sarah Gould essentially severed their ties to Jekyll after the death of their oldest son” Do you have a link to this story? Why did they blame the island? My understanding was not that they blamed the island. Apparently they just felt they needed a change in their lives at that time. I believe the sign outside says private residence. Is this still a private residence and are there any photos of the interior?